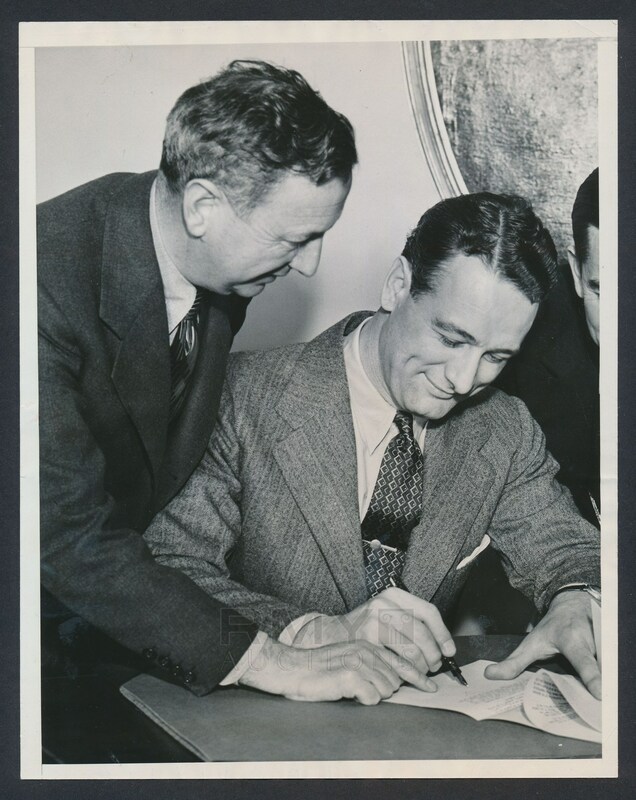 1937 Photograph of Hall of Famer Lou Gehrig as he signs a film contract with Hollywood producer Sol Lesser. Gehrig is all smiles but tragedy would soon strike as two years later he would be diagnosed with ALS. 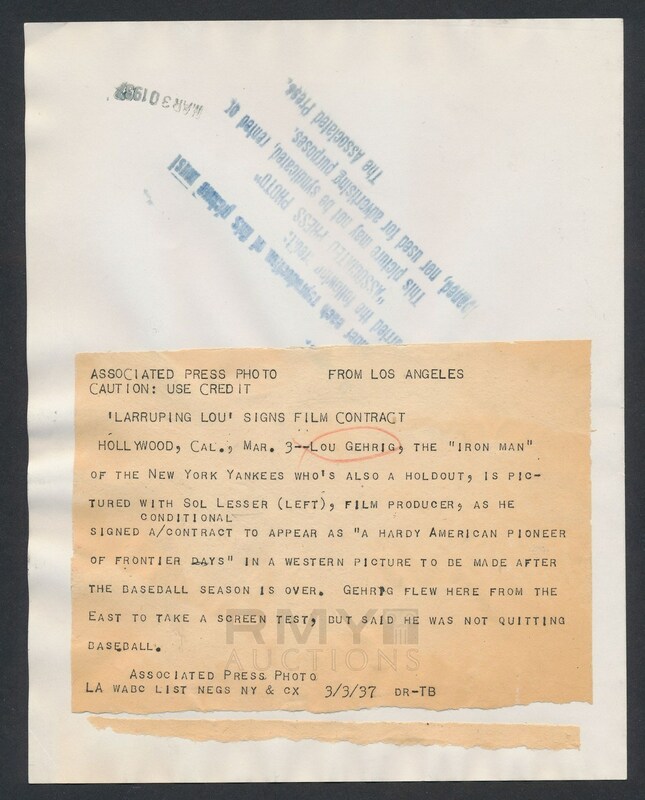 Issued by the Associated Press and stamped on the back with a full paper caption as well.